The TExES Art EC-12 exam is a necessary part of the certification process to become an art teacher at any grade level in the state of Texas. The exam measures your understanding of the theories, principles, and techniques of art as well as your ability to develop that knowledge and technique in students at various developmental stages. 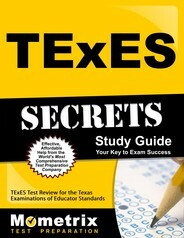 How Much Does the TExES Art EC-12 Exam Cost? The exam fee of $116 has to be paid at the time of registration. Once you have paid the exam fee, you need to schedule your exam within 170 days. If you fail to do this, you forfeit the fee and will have to register all over again and pay another exam fee. Because of this policy, it’s a good idea to book your appointment as soon as your payment has been processed. If needed, you can change your appointment up to 48 hours before the date without paying any additional fees. You can also cancel and receive a refund as long as you do so more than 48 hours before the appointment. Contemporary art forms, including electronic forms. The role of visual arts in both shaping and reflecting society, culture, and history. Analysis and recognition of the similarities and differences among different artworks from various time periods and cultures. Distinguish characteristics of European, North American, South American, Central American, Oceanic, African, Asian, Australian, and Middle Eastern art from ancient times through to the present. Skills and knowledge that contribute to visual perception and visual literacy. Basic principles of analysis, interpretation, and critique of artworks from a variety of different time periods and regions. Creating and applying a curriculum and appropriate instructional methods for art education. Lessons and activities that develop the thinking skills and productive skills that students need in order to create, interpret, critique and appreciate art. Effective studying and reading strategies that develop a student’s understanding of the visual arts. Basic theories and techniques for effective assessment in art education. Career options, career planning, and professional development in the visual arts. All of the questions you see on the test are going to be geared toward measuring a foundation of the particular set of standards the state of Texas expects in its art teachers. Those standards guide a teacher’s personal abilities to create, interpret, evaluate, critique and appreciate art as well as their ability to develop effective teaching strategies that develop those same abilities in students at different ages. How Is the TExES Art EC-12 Exam Scored? The exam will be given a scaled score ranging from 100 to 300 and you need to achieve at least 240 in order to successfully pass the exam. This score does not reflect the actual number of questions you answered correctly. Instead, it reflects the average difficulty level of the questions you answered, regardless of whether you answered correctly or not. With that in mind, the more questions you answer correctly, the more difficult the questions become which will lead to a higher overall score. So it is important to do your best and make an educated guess even when you feel totally clueless about a question. Do I Need to Study for This Exam? You definitely do need to study for this exam. Even if you feel very confident in your knowledge and understanding, it’s worth studying just to refresh your memory and make sure you know the material in a way that’s geared to the test. The best way to do that is with the Mometrix Study Guide. This guide presents a comprehensive overview of each section of the exam. So you’ll be able to see exactly what material you are most likely to see on the test. Along with that breakdown, you’ll also get sample questions that help you access that knowledge and familiarize yourself with the kind of questions you will be expected to answer. 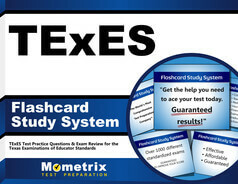 For added review, pick up Mometrix Flashcards. These present the essential material in an even more easy to understand and engaging way. You’ll be able to quiz yourself, play fun study games, and take your studying on the go since these cards are portable!